Jose Costilla brings the sizzle and the steak. Costilla doesn’t just want guests to enjoy a great meal when they visit Costela Brazilian Steak House, he wants them to have a unique and unforgettable fine-dining experience. He and his wife, Alicia, opened the churrascaria restaurant in Bay City with Shaheen Development in early November. 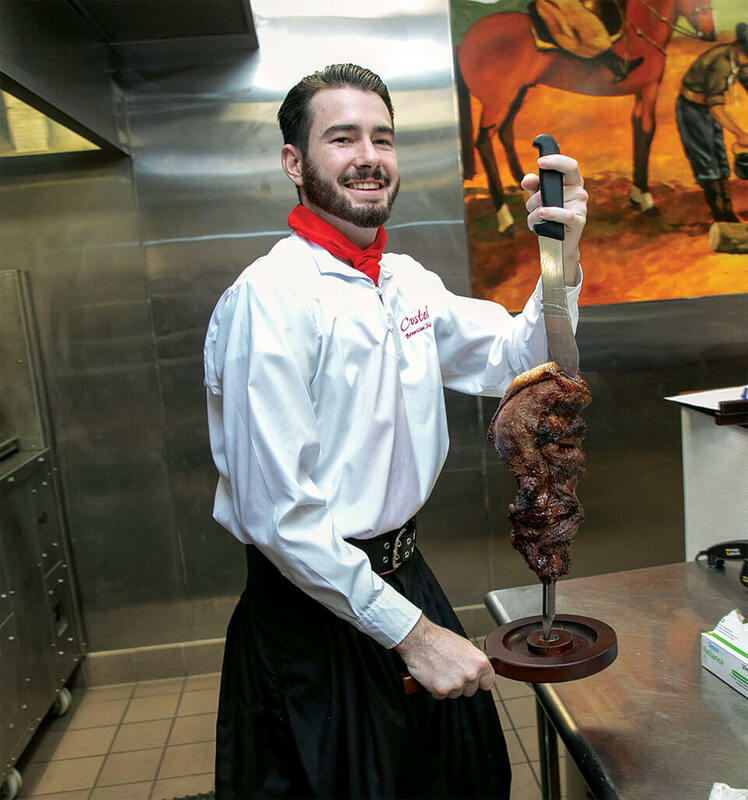 The restaurant features 17 authentic Brazilian cuts of beef, pork, poultry and freshly-made sausages that are carved tableside by uniformed gaucho chefs. A VIP opening was held Nov. 8 as a benefit for the Bay Area Community Foundation’s Bay Commitment Scholarship Program. The restaurant opened to the general public two days later. Guests begin the meal with a gourmet Brazilian market table of fresh salads, smoked fish, meats, soups, vegetables and accompaniments. 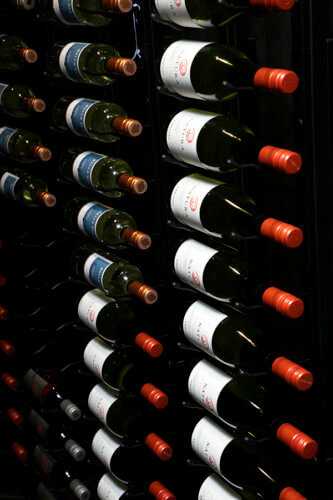 Fine wines and a full bar selection provide guests many unique options such as caipirinha, Brazil’s national cocktail that features cachaca liquor and fresh lime. 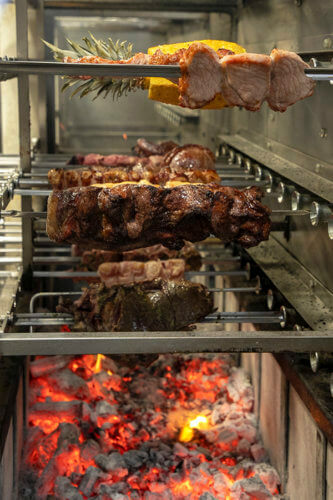 Costilla first encountered a Brazilian-style steakhouse 15 years ago during a visit to Washington, D.C. Even after he opened a Mexican restaurant in Bay City, Costilla never stopped thinking about his dining experience in the nation’s capital. Three years ago, Costilla decided to stop thinking about it and begin working to turn his dream into a reality. Yet it’s a risk that could bring significant reward, especially for gourmands in the Great Lakes Bay region. Costela Brazilian Steak House is at 110 Uptown Drive in Bay City. The restaurant is open from 5-10 p.m. Mondays through Fridays, noon to 10 p.m. Saturdays and noon to 9 p.m. Sundays. For reservations or more information, call (989) 778-2640.